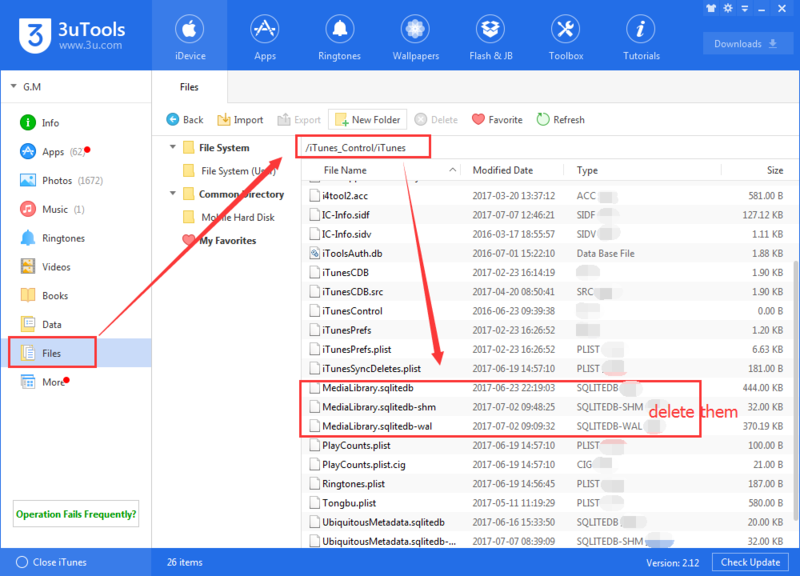 How to Fix Error -5998 While Importing Music Using 3uTools? 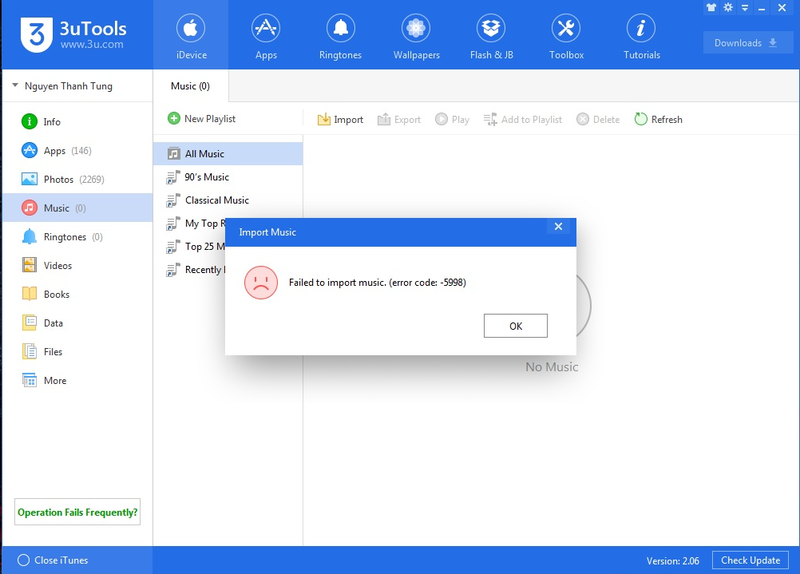 Currently, some 3uTools supporters reported that they encountered error -5998 while importing music to iDevice. This tutorial aims to show you the solution for this issue. * When this error shows, click Files -> iTunes_Control -> iTunes -> delete these three files below. * After they’re deleted, reboot your iPhone. And now you’re able to import music again. Or, you can uninstall 3uTools from your computer , then download and install the latest 3uTools again.